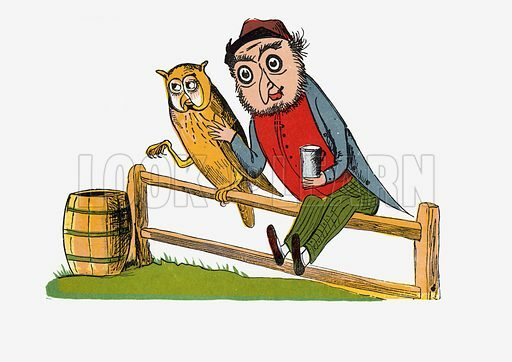 There was an Old Man with an Owl, who continued to bother and howl. Illustration for A Book of Nonsense (Frederick Warne, c 1875). Colouring probably done by Edward Lear himself.